Saturday, April 27, 2019 at 1 PM – 4 PM: It’s all about the wine! It truly is all about the quality, diversity and scope of wines being offered and the skills and relevance of the people bringing them to you. 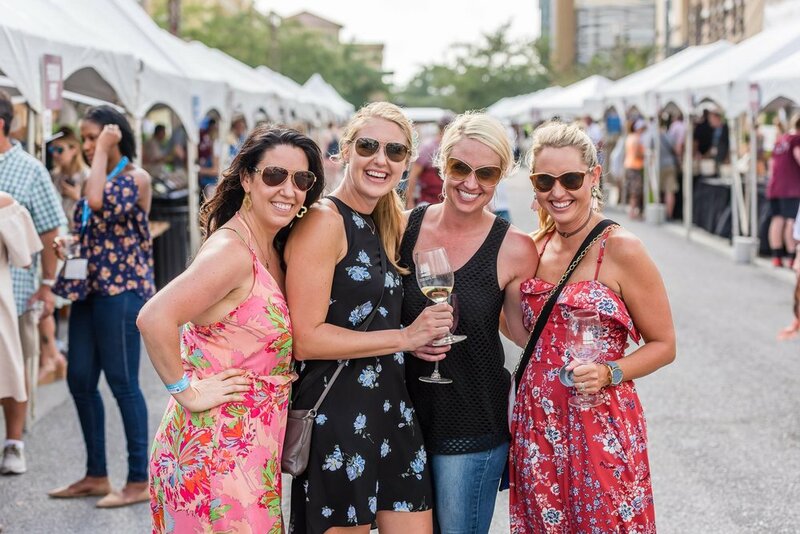 More than 800 wines are available at the Grand Tasting as well as the newly redesigned Savor South Walton Culinary Village, Tasting Seminars, Rosé All Day Garden, Spirits Row, and Nashville Songwriters Showcase. 1:30 - 2:15 pm: Bill Samuels Jr. - Maker's Mark. Maker's Mark began with one family's quest to create a bourbon they enjoyed drinking and sharing with friends. That’s hardly revolutionary today, in 1953 it changed an industry. Bill Samuels, Jr. turned his parents’ little company into an icon and helped create a more flavorful version of their bourbon. Along the way, he rewrote the rules of marketing and set Kentucky’s bourbon industry on a path to growth and success. Enjoy the journey and stories of this visionary Whisky Hall of Famer. 2:45 - 3:30 pm: Michael Landis - Institut du Fromage. Enjoy tantalizing pairings of award-winning cheeses, meats and more to perfectly pair with wine. Presented by Gourmet Foods International and Jackson Family Wines, join world-renowned cheese expert and educator Michael Landis as he presents a sampling of the American Cheese Society’s Medal-winning cheeses. As the Director of Education for the Institut du Fromage, Landis has been teaching food and beverage pairings for more than 20 years. He is an American Cheese Society Cheese Professional and authorized Educator, Court of Master Sommelier, certified Cicerone beer server and was inducted into the International Guilde des Fromages in 2011. Enjoy selected wines poured to compliment the cheeses and meats.